The Cuisinart CBM-20 premium conical burr mill grinds coffee beans consistently to preserve delicate natural oils, maximizing both flavor and aroma. 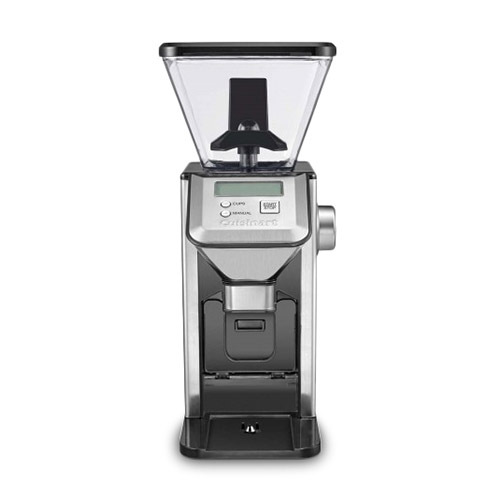 The burr mill features an easy-to-read LCD display which shows fineness setting and number of cup selections to ensure that every grind is just right. 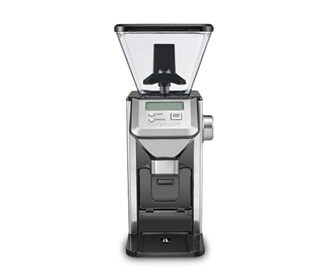 The CBM-20 has 18 grind settings ranging from ultra fine to extra-coarse.It has a large 1 lb. bean hopper with lid and has a quiet, low temperature and low static operation. The Cuisinart Premium Conical Burr Grinder has many exciting features for users of all types. You can extend the lifetime of your Cuisinart Premium Conical Burr Grinder with the purchase of a FactoryOutletStore Factory Protection Plan. See the Cuisinart Premium Conical Burr Grinder gallery images above for more product views. The Cuisinart Premium Conical Burr Grinder is sold as a Brand New Unopened Item.